Henry Percy, 2nd Earl of Northumberland (3 February 1393 – 22 May 1455) was an English nobleman and military commander in the lead up to the Wars of the Roses. He was the son of Henry "Hotspur" Percy, and the grandson of Henry Percy, 1st Earl of Northumberland. His father and grandfather were killed in different rebellions against Henry IV in 1403 and 1408 respectively, and the young Henry spent his minority in exile in Scotland. Only after the death of Henry IV in 1413 was he reconciled with the Crown, and in 1416 he was created Earl of Northumberland. In the following years, Northumberland occasionally served with the king in France, but his main occupation was the protection of the border to Scotland. At the same time, a feud with the Neville family was developing, particularly with Richard Neville, Earl of Salisbury. This feud became entangled with the conflict between the dukes of York and Somerset over control of national government. The conflict culminated in the first battle of the Wars of the Roses, at St Albans, where both Somerset and Northumberland were killed. Henry Percy was the son of another Henry Percy, known as "Hotspur", and Elizabeth Mortimer. Elizabeth was the daughter of Edmund Mortimer, Earl of March and Philippa, granddaughter of Edward III. 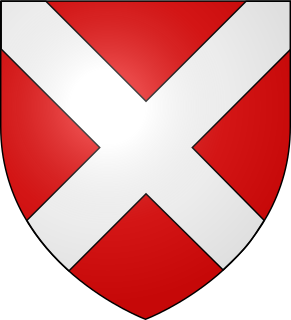 Hotspur's father – the young Henry's grandfather – was also called Henry Percy, and in 1377 became the first of the Percy family to hold the title of Earl of Northumberland. Both Hotspur and his father were early and active supporters of Henry Bolingbroke, who usurped the throne from Richard II in 1399, and became King Henry IV. They were initially richly rewarded, but soon grew disillusioned with the new regime. Hotspur rose up in rebellion, and was killed at Shrewsbury on 21 July 1403. Northumberland served occasionally in Henry V's wars in France over the following years. He joined the king on an expedition to the Continent in 1416, and sent a minor contingent of soldiers the next year. His main task, however, was the defence of the Scottish Borders, and on 16 December 1416 he was appointed Warden of the East March. In late August 1417, the Scots invaded northern England; while Albany laid siege to Berwick Castle, the Earl of Douglas attempted to take Roxburgh Castle. Percy lifted the siege of Berwick, and forced both Albany and Douglas across the border. At the same time, he was also involved in national political affairs, and acted as steward at the coronation of Henry's queen Catherine on 24 February 1421. When Henry V died in 1422, Northumberland was appointed member of the council appointed to govern during the minority of Henry VI. He might have been involved in an embassy to the Council of Siena in 1423, but still his main area of responsibility lay in the border region. In the council, he seems to have belonged to the circle around Bishop Henry Beaufort, and he followed Beaufort – now cardinal – to peace negotiations at Berwick in 1429. As Warden of the East March, he was constantly occupied with peace negotiations and defence of northern England, but his efforts were constantly frustrated, and in 1434 he resigned his commission. The next year, Richard Neville, Earl of Salisbury, equally exasperated by the lack of royal support, gave up his commission as Warden of the West March. Northumberland was appointed joint warden with the earl of Huntingdon of both marches for one year, during which time, although suffering defeat by the Earl of Angus at the Battle of Piperdean, he was able to repel a siege on Roxburgh by James I of Scotland. In 1440 he was once more appointed Warden of the West March, and this time held the position until his death. Initially, Northumberland's relations with the other great northern family, the Nevilles, were friendly. 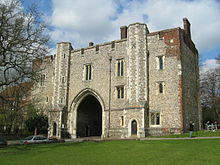 He was already connected to the Beaufort-Nevilles through his marriage with Eleanor Neville, and in 1426 he married his sister Elizabeth to the young Ralph Neville, 2nd Earl of Westmorland. In the early 1440s, Northumberland was involved in other disputes. A conflict over land with the Archbishop of York escalated into open violence. The king intervened on the archbishop's side, though Northumberland remained in favour at court. Nevertheless, he spent less time involved in central affairs at Westminster in the later 1440s. In the early 1450s, the relationship between the Percy family[who?] and the Earl of Salisbury – Ralph Neville, 1st Earl of Westmorland's son by his second wife Joan Beaufort – started to deteriorate. What triggered the conflict was the marriage between Salisbury's son Thomas and Maud Stanhope, niece and heiress of Lord Cromwell. By this marriage Wressle Castle, which had traditionally been in the possession of the Percy family, would pass to the Nevilles. At the same time, the Neville-Cromwell wedding had led Huntingdon (now Duke of Exeter) to join the cause of the Percys, because of a territorial dispute with Cromwell. Northumberland himself, who was nearing sixty, did not take action at the time, but one of his younger sons did. Thomas Percy had been created Baron Egremont in 1449, relating to his possessions in the Neville-dominated county of Cumberland. On 24 August 1453, Thomas attacked the Neville-Cromwell wedding party at Heworth near York with a force of over 700 men. No one was killed in the skirmish, and the wedding party escaped intact. The conflict, however, continued over the following years. On 8 October, Northumberland and Salisbury were summoned to court and ordered to end the conflict, but the warnings were ignored. Instead, the collective forces of the Percy and Neville families gathered at their Yorkshire strongholds of Topcliffe and Sand Hutton respectively, only a few miles apart. Both sides had ignored royal commands to disband, and battle seemed inevitable, but eventually a truce ensued and the forces withdrew. Then, in October 1454, Thomas Percy and his brother Richard were captured by the Nevilles in a battle at Stamford Bridge. The conflict was escalating, and converging with events in national politics. Discontent was brewing in England against the personal rule of Henry VI, who had been declared of age in 1437. The main antagonists were Richard, Duke of York, and Edmund Beaufort, Duke of Somerset. Somerset enjoyed great influence over the king, but after Henry had been incapacitated by mental illness in 1453, York was appointed protector in 1454. 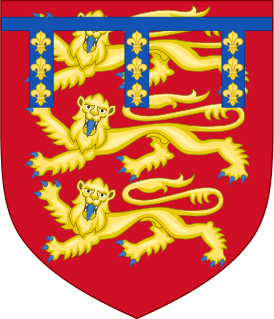 The Nevilles were by this time closely associated with York, so the natural option for Northumberland was to side with Somerset and the king. Attempts were made to reconcile Northumberland and Salisbury in the north, but little was accomplished. In December, the king rallied sufficiently to resume control of government, and York's protectorate was terminated. With Somerset back at the centre of power, civil war seemed imminent. In May 1455, Northumberland was travelling with the king and Somerset to a great council at Leicester, when the party was intercepted by York and the Nevilles. On 22 May 1455, at the First Battle of St Albans, the royal forces clashed with the forces loyal to the Duke of York, in what has been described as the first battle of the Wars of the Roses. The battle was a complete victory for the Yorkist side, and led to another reversal of the political situation. The king was taken captive, and Somerset was killed. Northumberland was also among the casualties, and was buried at the nearby St Albans Abbey. A suggestion made by a contemporary chronicler, and supported by modern-day historians, said that the true purpose of the battle was to settle personal scores. Once York and Salisbury had killed Somerset and Northumberland respectively, the battle was effectively over. The Percy estates were primarily located in the northern counties of Yorkshire, Northumberland, and Cumberland. Even though the title was restored in 1416, and the Percy estates were officially regranted, this did not mean the immediate return of all the family possessions. Protracted legal battles followed, particularly with John, Duke of Bedford. Even at the time of his death, Northumberland had not recovered all the estates once held by his grandfather. Northumberland's marriage to Eleanor Neville produced at least ten children. 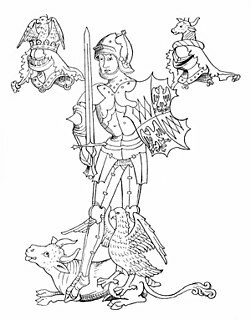 Henry Percy was succeeded by his son Henry Percy, 3rd Earl of Northumberland, who himself died fighting in the Wars of the Roses, at the Battle of Towton on 29 March 1461.
probably aft. 1428 5 July 1522 Married Thomas Hungerford of Rowden, Sir Lawrence Raynesford and Sir Hugh Vaughan. Depicted in a stained glass at the Holy Trinity Church, Long Melford. a. ^ Though the Dictionary of National Biography operates with the year 1394, other sources give his year of birth as 1393.
b. ^ This was a new creation, to stress that the attainder of the first earl had not been undone. ^ a b Rose (2002), p. 371. ^ Fryde (1961), p. 441. ^ a b c d e f g h i j k l m n o Griffiths (2004a). ^ a b Lomas (1999), p. 83. ^ Wagner (2001), pp. 198–9. ^ a b Lomas (1999), p. 84. ^ Gray Birch 1884, p. 403. ^ Cokayne 1936, p. 715. ^ a b Rose (2002), p. 372. ^ Pollard (1990), p. 151. ^ Rose (2002), p. 385. ^ Rose (2002), pp. 388–9. ^ a b Lomas (1999), p. 85. ^ Pollard (1990), pp. 246–7. ^ Rose (2002), pp. 394–5. ^ a b Lomas (1999), p. 86. ^ Pollard (1990), pp. 255–6. ^ a b Griffiths (2004b). ^ Rose (2002), pp. 402–3. ^ Storey (1966), pp. 131–2. ^ Lomas (1999), p. 87. ^ Carpenter (1997), p. 129. ^ Carpenter (1997), p. 134. ^ Harriss (2005), p. 538. ^ Saul (1997), p. 131. ^ Rose (2002), pp. 412–4. ^ Storey (1986), pp. 162. ^ Pollard (1990), pp. 263–5. ^ Lomas (1999), p. 88. ^ a b Richardson III 2011, p. 345. ^ Richardson II 2011, p. 432, endnotes. ^ Collins 1812, p. 291. ^ Richardson II 2011, p. 431. ^ Gray Birch 1884, p. 401–403. ^ Rose (2002), p. xiii. Bean, J. M. W. (2004). "Percy, Henry, first earl of Northumberland (1341–1408)". Oxford Dictionary of National Biography (online ed.). Oxford University Press. doi:10.1093/ref:odnb/21932. (Subscription or UK public library membership required. ), The first edition of this text is available at Wikisource: Hunt, W. (1895). "Percy, Henry, first Earl of Northumberland (1342–1408)" . In Lee, Sidney (ed.). Dictionary of National Biography. 44. London: Smith, Elder & Co.
Collins, A. (1812). Egerton Brydges (ed.). Collins's Peerage of England. 2. London. Online. Brenan, Gerald (1902). A History of the House of Percy. London: Freemantle. Balfour Paul, James (1902). A History of the House of Dougls. London: Freemantle. Carpenter, Christine (1997). The Wars of the Roses: Politics and the Constitution in England, c. 1437–1509. Cambridge: Cambridge University Press. ISBN 0-521-31874-2. Cokayne, G. (1936). H.A. Doubleday; Baron Howard de Walden (eds.). The Complete Peerage. 9 (2nd ed.). London: St. Catherine Press. Fryde, E. B. (1961). Handbook of British Chronology (Second ed.). London: Royal Historical Society. Gray Birch, W. (21 May 1884). "The Lady Anne Percy's Portrait in Stained Glass at Long Melford". Journal of the British Archaeological Association. 1st series. 40 (4): 400–408. doi:10.1080/00681288.1884.11887721. Griffiths, R. A. (2004a). "Percy, Henry, second earl of Northumberland (1394–1455)". Oxford Dictionary of National Biography (online ed.). Oxford University Press. doi:10.1093/ref:odnb/21933. (Subscription or UK public library membership required. ), The first edition of this text is available at Wikisource: Hunt, W. (1895). "Percy, Henry, second Earl of Northumberland (1394–1455)" . In Lee, Sidney (ed.). Dictionary of National Biography. 44. London: Smith, Elder & Co.
Lomas, Richard (1999). A Power in the Land: The Percys. East Linton: Tuckwell. ISBN 1-86232-067-5. Retrieved 27 December 2009. Pollard, A. J. (1990). North-Eastern England During the Wars of the Roses: Lay Society, War and Politics, 1450–1500. Oxford: Clarendon. ISBN 0-19-820087-0. Rose, Alexander (2002). Kings in the North – The House of Percy in British History. London: Phoenix. ISBN 1-84212-485-4. Saul, Nigel (1997). Nigel Saul (ed.). The Oxford Illustrated History of Medieval England. Oxford: Oxford University Press. ISBN 0-19-820502-3. Retrieved 27 December 2009. Storey, R.L. (1986) . The End of the House of Lancaster. Gloucester: Sutton. ISBN 0-86299-290-7. Wagner, J. A. (2001). Encyclopedia of the Wars of the Roses. Santa Barbara, Oxford: ABC-CLIO. ISBN 1-85109-358-3. Walker, Simon (2004). "Percy, Sir Henry (1364–1403)". Oxford Dictionary of National Biography (online ed.). Oxford University Press. doi:10.1093/ref:odnb/21931. (Subscription or UK public library membership required.) The first edition of this text is available at Wikisource: Tait, J. (1895). "Percy, Sir Henry, called Hotspur (1364–1403)" . In Lee, Sidney (ed.). Dictionary of National Biography. 44. London: Smith, Elder & Co.